This early literacy and math program happens on select afternoons. 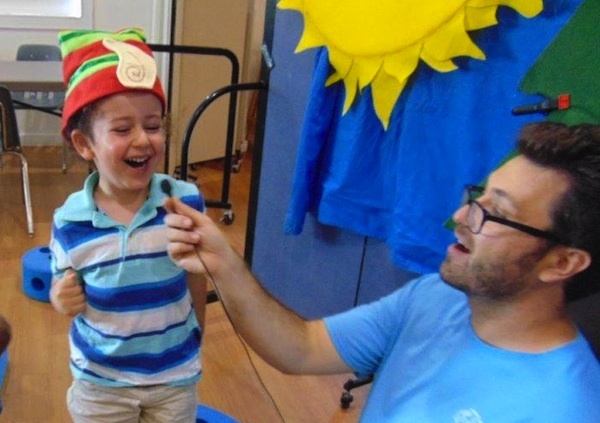 This program features a playgroup format to engage both toddlers and their parents/caregivers in song, stories and hands-on projects. Parents will get take-home ideas to support early learning in the home. Each month the program has a different theme, but it always focuses on fun, playful ways to introduce early math and literacy skills. Print motivation – Being interested in and enjoying books. We make reading a fun and exciting experience. Narrative skills – Being able to describe things and events and to tell stories. Letter knowledge – Understanding letters are different from each other, knowing their names and sounds, and recognizing letters everywhere. Fine Motor Skills – Children 4 and under are not usually ready to do much writing but developing the strength and coordination in their hands through fine motor activities helps to prepare them for when they will write. Counting – Being able to say each number in order and associate each number with the objects you are counting is a skill that takes practice. Comparing and Contrasting – Being able to describe something as more or less than something else. Patterns – Recognizing and making patterns. Shape Recognition – Identifying simple shapes such at triangle, square and circle. 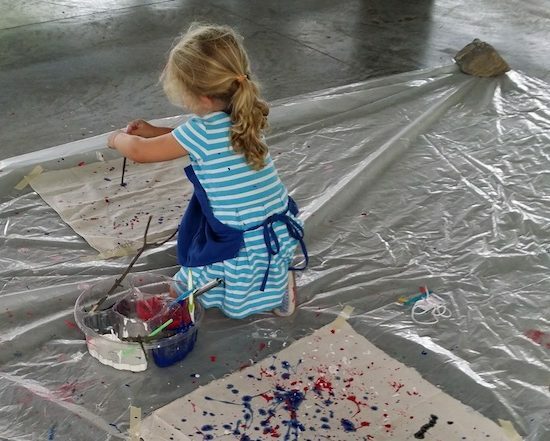 This facilitated art program is held on alternating Wednesday afternoons throughout the month and invites parents and caregivers to work with their pre-school aged children to create something special to take home. Each month features a new project and provides fun ideas for exploring art at home. Fine Motor Skill Development – For children 4 and under, artistic expression with various materials can help children develop the coordination, hand strength and dexterity needed for writing. Early Math Practice – These art programs often guide young children through activities that introduce comparing and contrasting, sorting, and shape recognition, which help children become comfortable with early math concepts. Self-Expression – Young children are able to express themselves well and communicate complex ideas and stories through art. Please note: each Making Masterpieces program has a $5.00 per child materials fee. 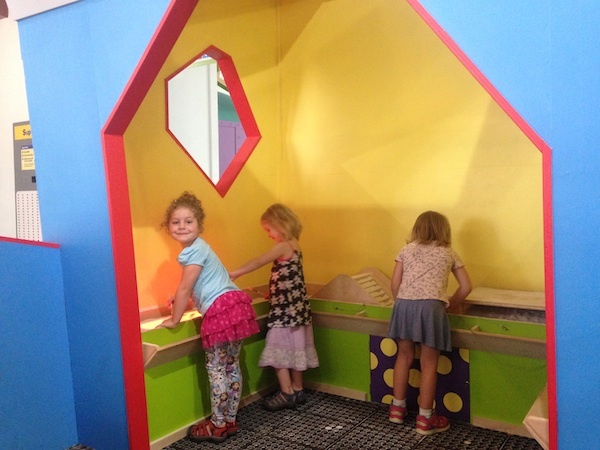 Sometimes there’s more to the Children’s Museum than meets the eye! Join museum education staff for an insider’s look at what makes our museum special. Each Museum Showcase will focus on one distinct part of the museum. Whether it’s a special trip inside the Starlab, taking on a challenge with Imagination Playground or a fresh way of playing on the Firetruck, you’ll leave this program with a deeper appreciation of what we have to offer. The Children’s Garden @ MHCM is our new outdoor program space that invites you and your child to learn about growing food and to practice gardening techniques that can be used at home. These guided programs are offered throughout the growing season. Gardening with children . . .
Is physical work! Gross motor skills are developed as a child learns to reach, squat, and balance. Fine motor skills are developed as children learn to use gardening tools, handle seeds and delicate seedlings, and harvest produce. Introduces new cognitive concepts. Gardens are vibrant classrooms where young children will learn colors, numbers, size and shapes. Gardens introduce novel problems to solve and provide opportunities for children to test their memory and grow attention span. Introduces new language. Language and vocabulary develops as a child explores and interacts with others. From naming tools and plants to telling stories about where certain plants come from, gardens provide ample opportunity for language practice. Creates awareness about food. Children who learn to grow their own food learn important life skills and are connected to where food comes from. Most children will eagerly eat what they grow themselves. Connects children with the natural world. Children learn to value and protect what they know. 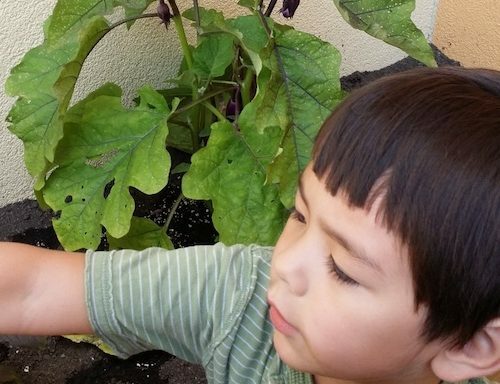 By connecting children to the earth through gardening they will gain awareness of the importance of protecting nature and stewarding natural resources.